If you are in desperate need of a new roof, sometimes the less-expensive option can look more appealing. After all, saving money is important and if you can get a good job for less money, why shouldn’t you do it? However, when it comes to your roof and the quality of the work involved, choosing the less-expensive option is not always the best idea. A roof over consists of installing a new roof on top of an existing roof. It is cheaper than installing a brand new roof, but the quality will suffer. If you need a new roof, tearing the old one off and replacing it is the better choice for a number of reasons. The codes that allow roof overs to happen are not set for quality purposes. These codes are only around to judge the amount of weight on any given structure. If the weight falls under set standards, then it passes these codes. However, the roof can be poor in quality at the same time. Your concern should be in how effective your roof is, not on how much weight your home can handle. Many manufacturers offer warranties for their work. When installing a new roof, your contractor should offer a warranty on the job. However, many businesses, in their contracts, state that they cannot be held responsible for any inconsistencies caused by building a roof over an existing one. 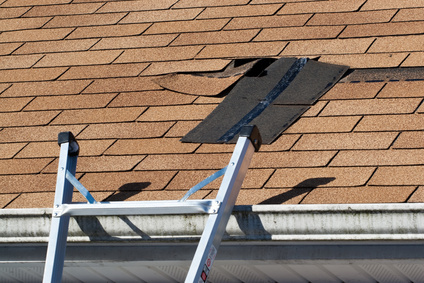 Guarantee the job done on your roof by tearing the old one off and starting fresh. When you build over an existing roof, there is no way to perform thorough roof inspections. This can lead to undiscovered damage that will pester you in the future. Leaks can also become more difficult. Water travels down the second layer to other areas of the roof. It is much more difficult to detect and fix leaks this way.